Organic Jaggery is made without the use of chemicals in its making. It is rich in important minerals like salts, magnesium which strengthens our nervous system and helps to relax our muscles. 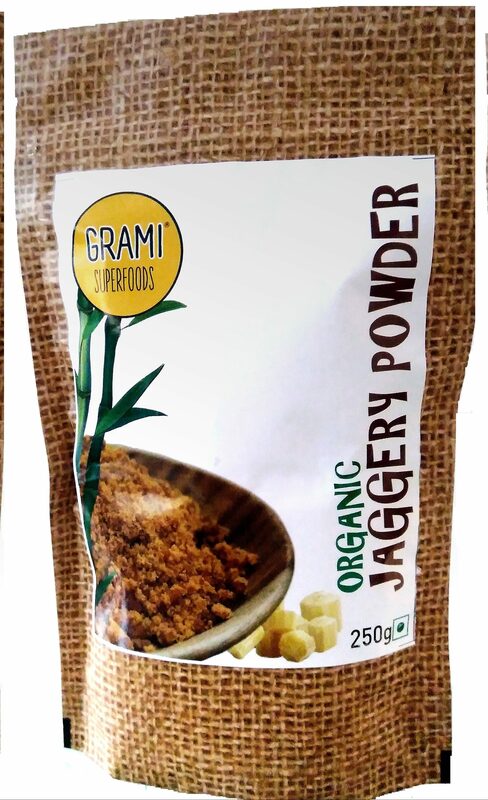 The important benefits of organic Jaggery are its totally able to cleanse your body, act as a digestive agent, candy-coat your food in a healthy manner, and deliver good amounts of minerals and iron. Made from Organically produced and concentrated sugarcane juice. Jaggery acts as a natural sweetener and provides energy over an extended period of time. Jaggery is loaded with antioxidants and minerals like zinc and selenium. It prevents constipation and activates the digestive system thus helps in proper digestion. Jaggery helps boosts resisting infections and builds a stronger immunity.